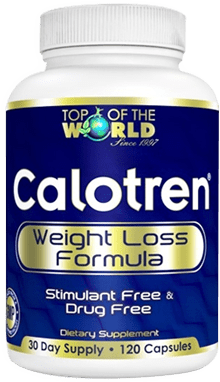 Calotren is actually GOOD for you! It's drug- and stimulant-free and doesn't interfere with any medications or your health conditions. 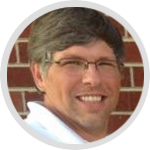 "I’m 125lbs lighter, thanks to Calotren." "I have now lost 75lbs. From a size 18 to a size 8!" 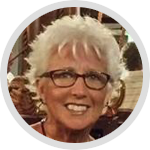 "I’ve tried many things for my arthritis – nothing worked as well as Calotren." 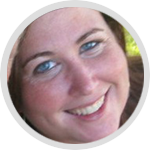 "I lost 35 pounds with Calotren and I've kept it off for over a year now! 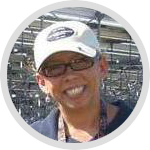 "I started Calotren right after the New Year. I had been stuck in a rut after having my baby girl but with Calotren, I am now in jeans that I haven't been able to wear since before my baby was born! Thank you Calotren!" "I've lost 15 pounds so far and I just started! Also, my knee pain has almost entirely gone away. Thank you Calotren!" Collagen protein is the essential active ingredient in Calotren. While collagen protein provides many benefits, its role in promoting healthy lean muscle and weight loss has been known for over 30 years. Collagen is the second most abundant substance in the body-behind water-and is equally important for all bodily functions. Unfortunately, studies have shown that after the age of 30, collagen production could decrease by 1% a year, so by age 50, the body could lose 20% of its capacity to produce collagen. 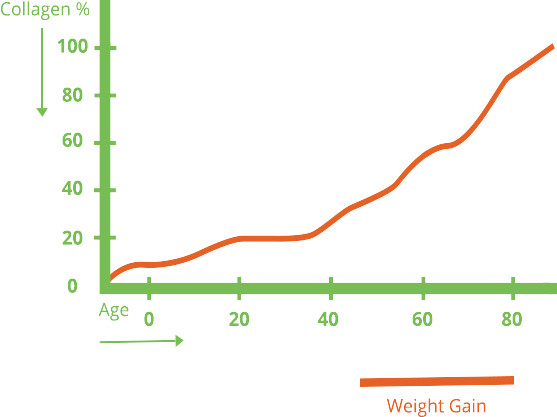 This drastically decreased level of collagen results in a slower metabolism and weight gain, as well as other issues like joint pain. However, taking a supplemental dosage of a high-quality collagen protein such as Calotren can help build healthier lean muscle, which boosts the body's metabolism naturally and promotes weight loss, as well as other side benefits. Collagen protein also performs many other important functions in the body. You take Calotren at bedtime and then go right to sleep. 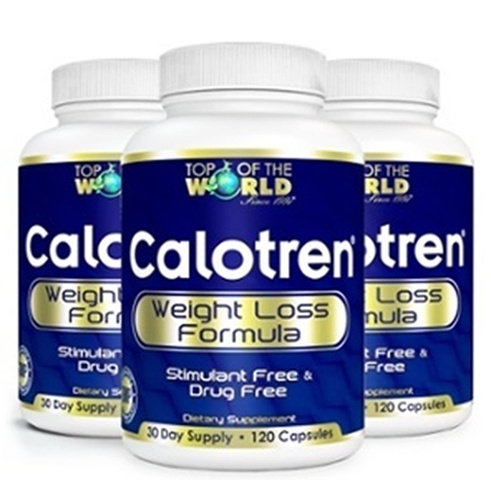 INSTRUCTIONS: Take 4 Calotren capsules or one tablespoon of Calotren liquid with a glass of water at bedtime. DO NOT EAT OR DRINK ANYTHING BUT WATER OR WATER WITH LEMON at least 2-3 hours prior to taking Calotren. 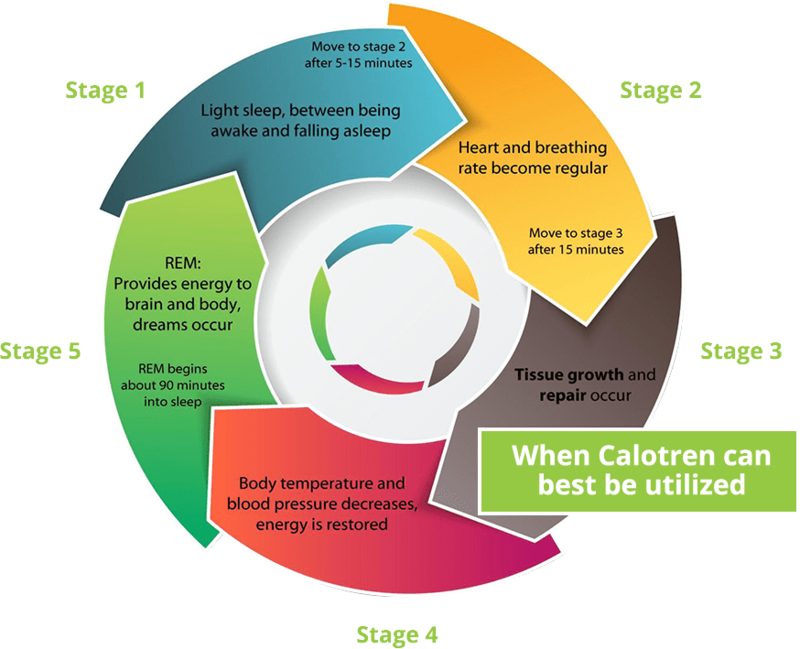 Putting 2-3 hours between your last meal and bedtime allows the Calotren to be more readily absorbed and to work more effectively. If you have a late night and are unable to take the Calotren, you may take it the next day 30-45 minutes prior to breakfast on an empty stomach. Then resume your nightly regimen that same day. We do, however, recommend taking it at night if at all possible for best results. Calotren may also be taken 30-45 minutes prior to exercise to assist with increased energy and stamina. As with any weight loss supplement, we recommend exercise and portion control to accelerate your results. Eat a balanced diet with sensible portions during the day, and take your Calotren at bedtime. How long should I take Calotren? 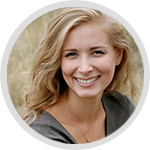 Most people begin seeing inch loss and/or weight loss within the first few weeks after starting Calotren. 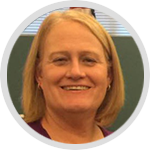 However, since Calotren assists your body in losing weight naturally - without drugs or stimulants - the initial onset of benefits can vary from person to person. If you have joint pain or injuries, your body may utilize the collagen protein there first. We therefore recommend beginning with a 90-day supply of Calotren to ensure optimum results. 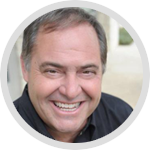 Because Calotren is a supplement that is GOOD for you, you can safely take Calotren as long as necessary or desired. Calotren Advanced Capsules contain an exclusive digestive enzyme combination to maximize your benefits. Calotren is also available in liquid. Calotren Liquid: Filtered Water, Collagen Hydrolysate (Gelatin Peptone), Aloe Vera, Vegetable Glycerin, Natural and Artificial Raspberry Flavor, Potassium Sorbate, Citric Acid and Sodium Benzoate. NOTE: Calotren should not be taken by pregnant or nursing mothers or children who have not yet reached puberty. Ingredients: Filtered Water, Collagen Hydrolysate (Gelatin Peptone), Aloe Vera, Vegetable Glycerin, Natural and Artificial Raspberry Flavor, Potassium Sorbate, Citric Acid and Sodium Benzoate. Take a big step towards achieving your health and weight loss goals.